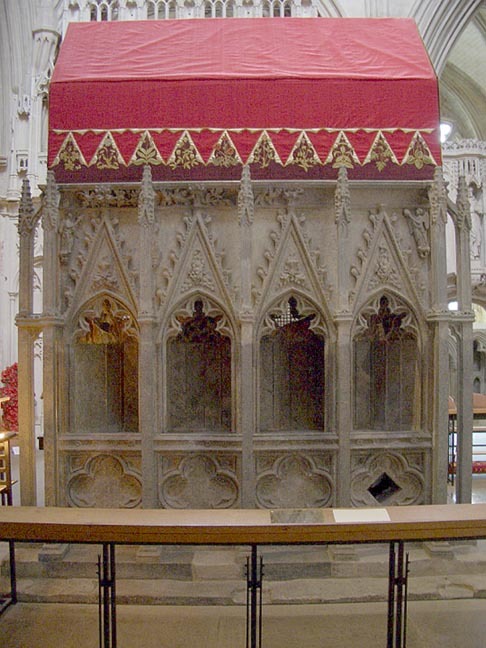 St Alban's shrine was reconstructed, albeit rather crudely, from the many pieces of it which were found scattered around. All this was still in the nature of repair rather than restoration. Photograph and text 2006 by Jacqueline Banerjee. Edwards, David L. The Cathedrals of Britain. Andover: Pitkin, 1989. Henning, Erich. A Walk through the Cathedral and Abbey Church of St Albans. Rev. ed. 2004. Available in the cathedral bookshop. Jarvis, Geoffery. The Story of St Albans Abbey. 3rd rev. ed. 2003. Available from the cathedral bookshop.